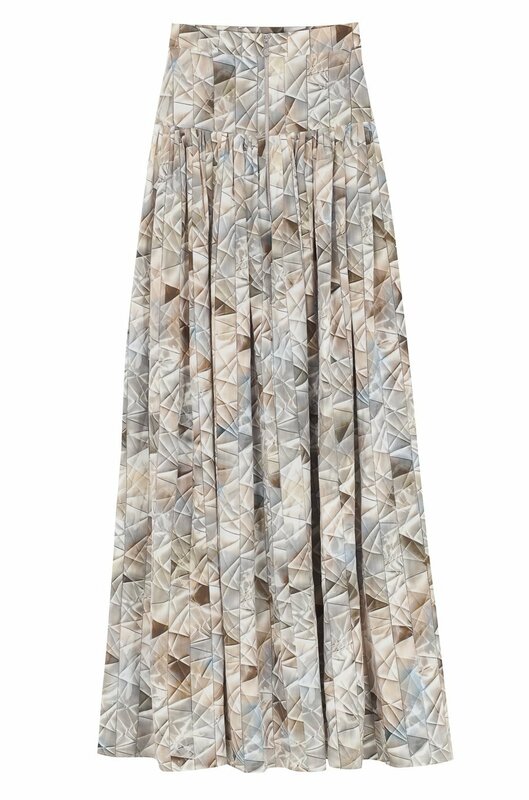 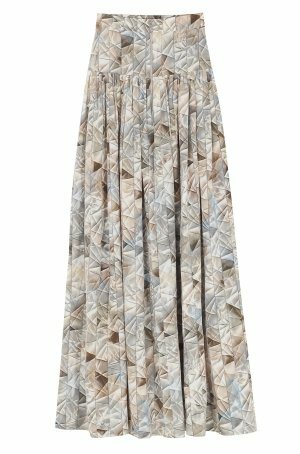 This maxi skirt is crafted from printed crepe de chine silk in a loose silhouette. 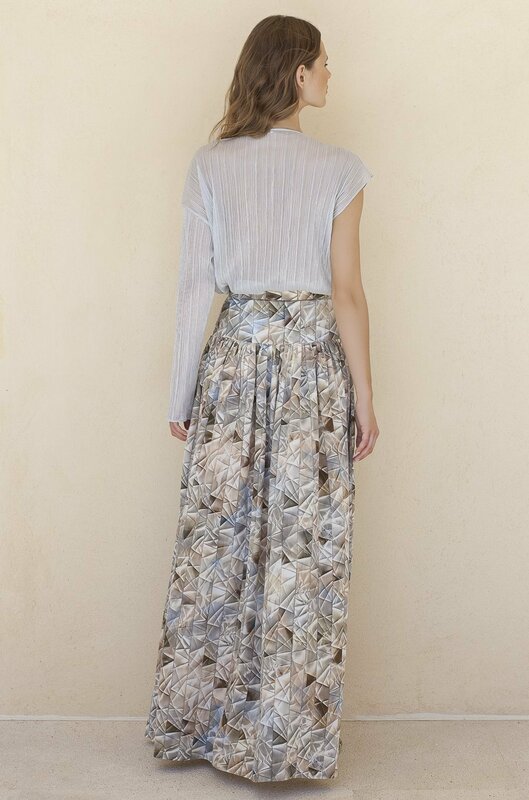 The pleated, dropped waist skirt has a zipper opening at the front. 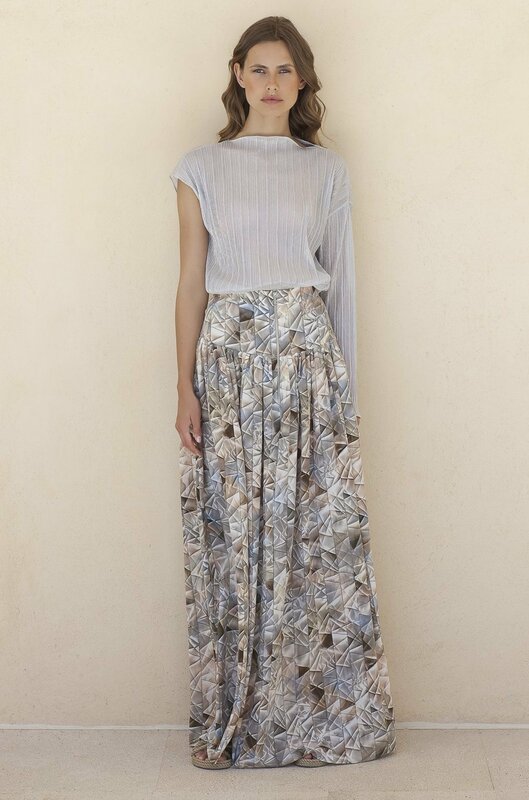 Pair it with the HERA BLOUSE.